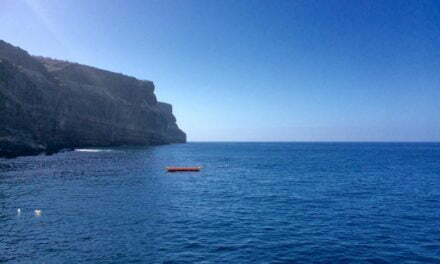 The Atlantic storm that just won’t die looks set to meet its final end over this weekend after weeks of aimlessly meandering around the warm waters of the mid-atlantic. 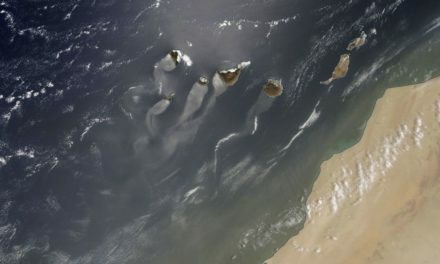 Having first formed on Sept 23, Leslie gained full Tropical Storm status on Sept 29 accompanied by the usual doom chorus of calls to batten down the hatches every where from John o’ Groats to Cabo Verde, as she gathered force to hurricane strength it seemed at times that the entirety of Western Europe was on alert as Leslie threatened to wreak havoc across Spain and/or Portugal, until diminishing back into a tropical storm it seemed the horror might be over with, before she suddenly reappeared once more, cast as the unkillable, undead bad weather system threatening doom to the islands with her sequel return to hurricane status earlier this week. Right now Leslie’s eyewall is lurking below heavy cloud cover, not visible to satellite imagery, however microwave scans have confirmed that she is still raging, albeit unseen for the moment. The best guess right now is that sustained winds of 80 knots (just under 150km/h or just over 90 mph) continue to keep her spinning and tracking east-northeast towards Europe. 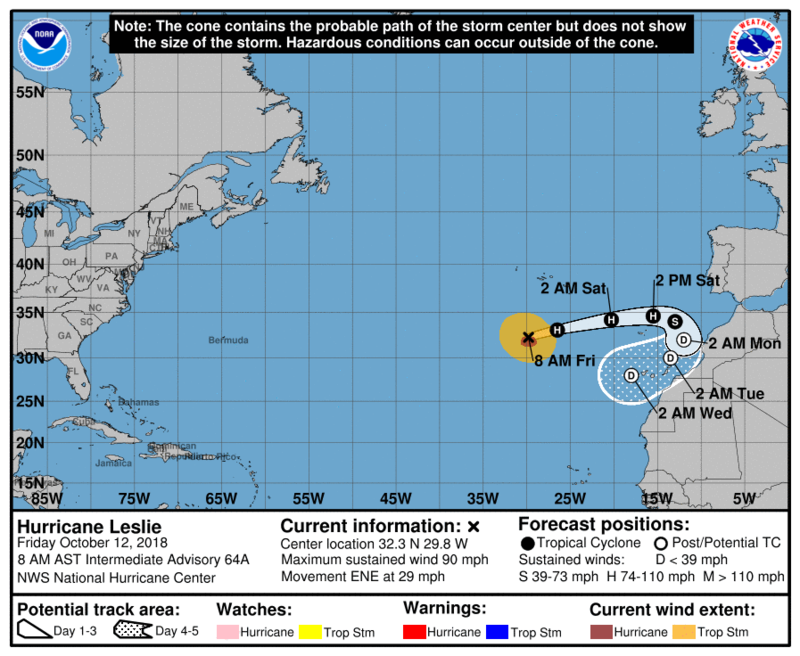 The latest forecasts this morning placed Hurricane Leslie at around 32º North, 30º West and she is moving east-northeast at around 46km/h (30mph). She is expected to increase in speed throughout Friday, likely tracking past Madeira by late Saturday, where storm warnings are in place. At this point there is some uncertainty as to what will happen next, though she is very much expected to weaken back to a storm, and then a simple depression, as fast moving high altitude winds from North Africa and the mediterranean start to tear at her structure, when she will either carry on towards Spain (according to the European forecast and other consensus models) or hook right back on herself (according to the UK and Canadian models) to land over The Canary Islands by Sunday afternoon. 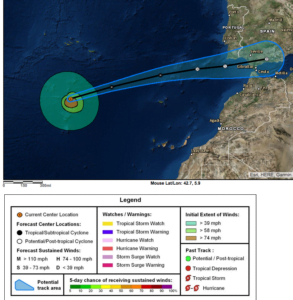 However the latest information* issued by the US based National Oceanic and Atmospheric Administration NOAA this afternoon seems to confirm that the highest probability is that the storm will continue tracking towards mainland Spain and Portugal. 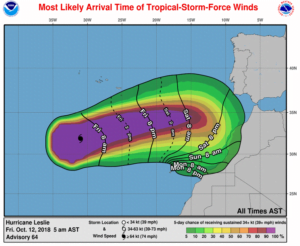 All the experts seem to now agree that this will likely be the end of Leslie, with currently only a 5% probability of sustained winds of more than 32knts likely to affect The Canaries, and though this may bring with it a 60-70% probability of rain on Sunday and Monday, very few people expect there to be any need for real concern as to whether or not we will receive hurricane warnings on these islands. 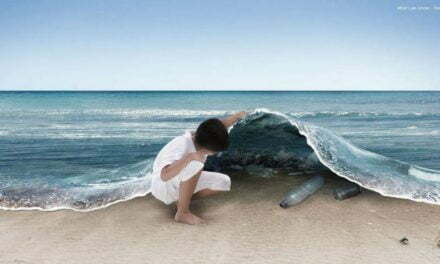 But then, never say never. So although Hurricane Leslie’s current maximum sustained winds are near 150 km/h (90 mph) at the moment and gusting much higher, the forecast is for significant weakening during the next 72 hours, when Leslie will most likely transition into a post-tropical depression by Sunday or Sunday night. 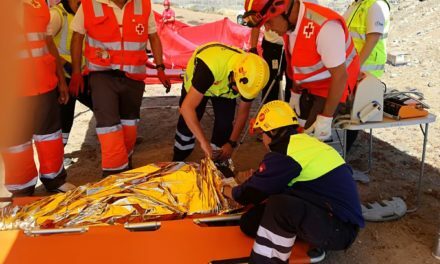 Nevertheless strong winds can be expected to reach the Spanish peninsula. 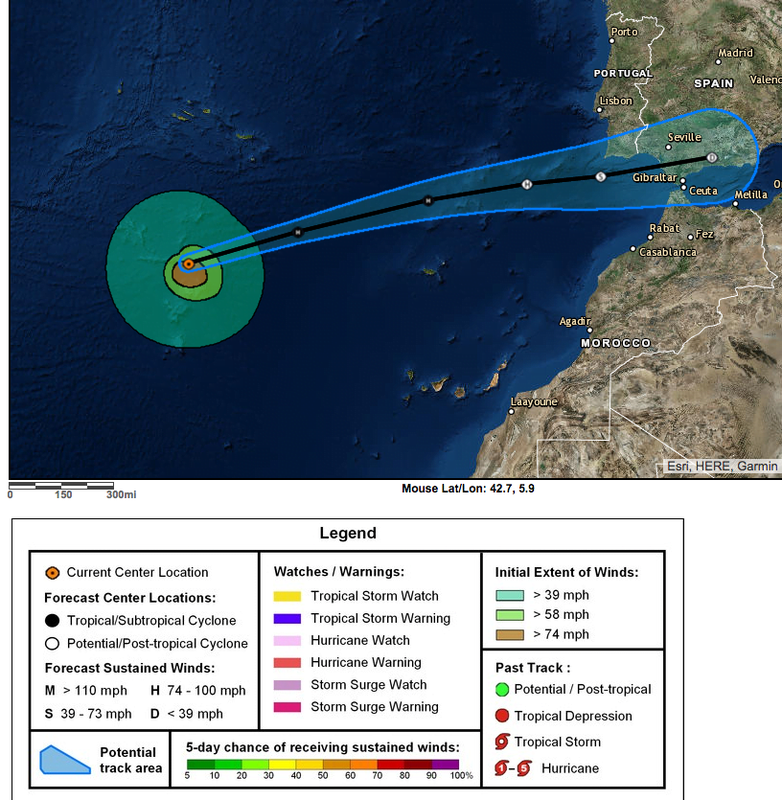 Right now her hurricane-force winds extend outward up to 120 km (75 miles) from the center and tropical-storm-force winds extend outward up to 335 km (205 miles), but with Gran Canaria being nearly twice that distance away, at 555km from Madeira, by the time Leslie could ever reach us she is likely to be a mere shadow of her former self… but then, one of the delights of any zombie movie is never quite being sure when the danger is over with… we will keep you posted. 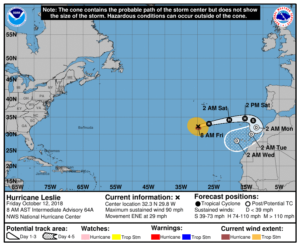 “At 1100 AM AST (1500 UTC), the center of Hurricane Leslie was located near latitude 33.0 North, longitude 28.0 West. 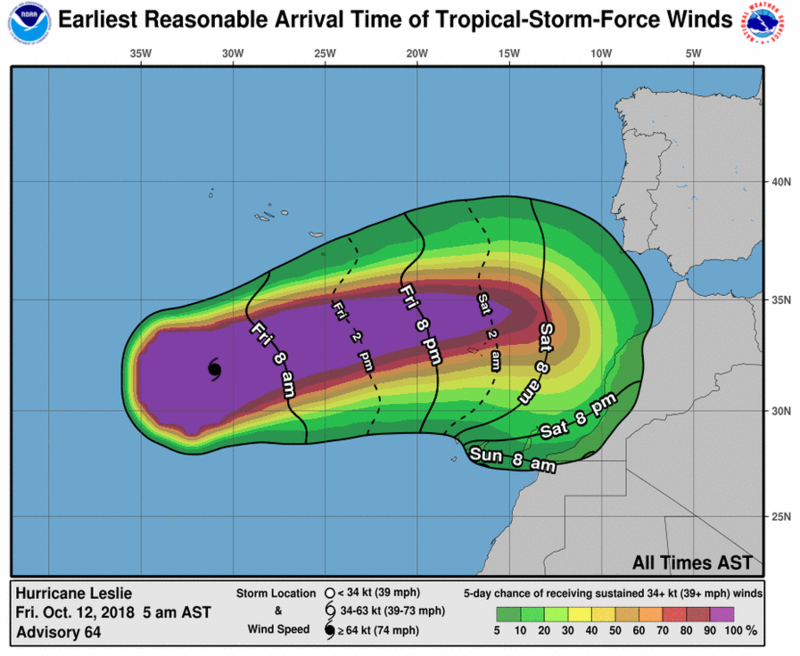 Leslie is moving toward the east-northeast near 32 mph (52 km/h). A fast east-northeastward motion is expected to continue through Saturday morning, followed by a slower eastward motion late Saturday through Monday. 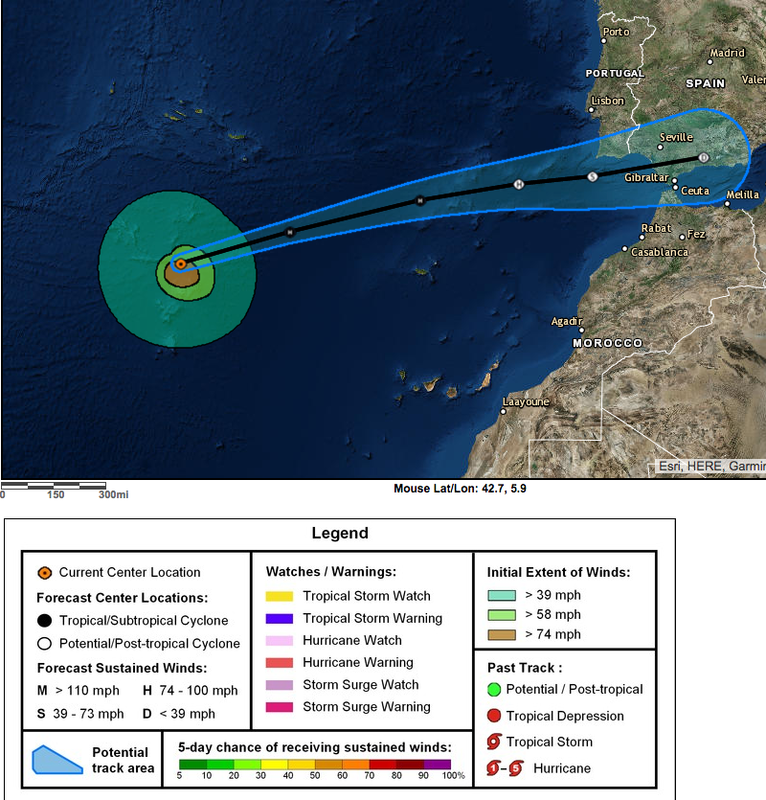 On the forecast track, the center of Leslie will pass north of Madeira Island on Saturday, and approach the southwestern portion of the Iberian Peninsula on Sunday, and move inland over portions of the Iberian Peninsula late Sunday. Maximum sustained winds are near 85 mph (140 km/h) with higher gusts. Some weakening is forecast during the next day or so, but Leslie is expected to transition into a powerful post-tropical cyclone by Saturday night or early Sunday. 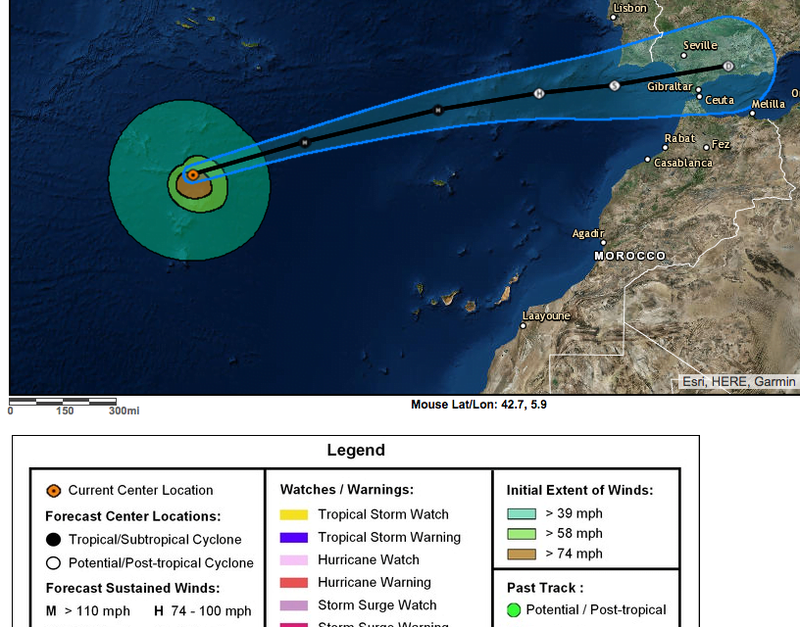 Additional weakening is forecast on Sunday, with Leslie expected to dissipate by Monday after it moves inland.